For the ITALIAN version go here. 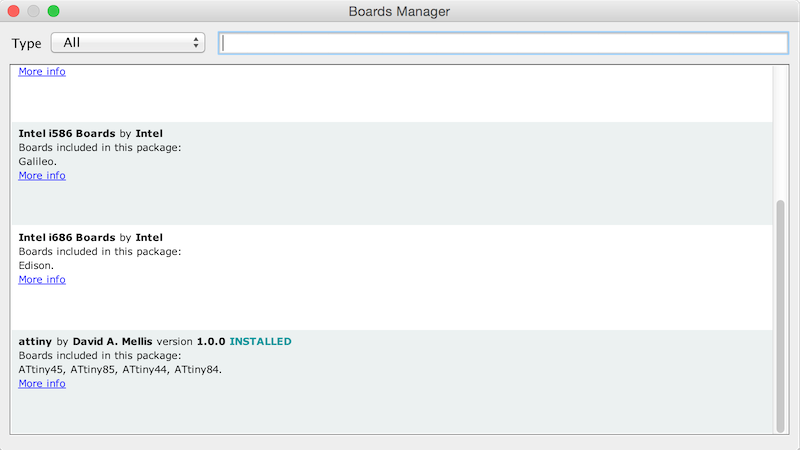 Follow these instructions (from this website http://highlowtech.org/?p=1695) to install Attiny core: In Arduino 1.6.4, you can install the ATtiny support using the built-in boards manager. We’re going to use the Arduino board to program KeyChainino. First, we’ll need to turn the Arduino board into an “in-system programmer” (ISP). 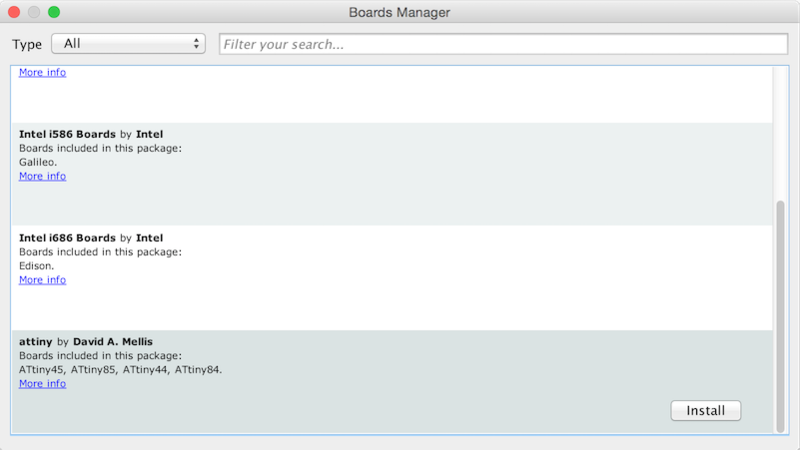 Select the board (on Tools > Board menu) and serial port (on Tools > Serial Port) that correspond to your Arduino board. 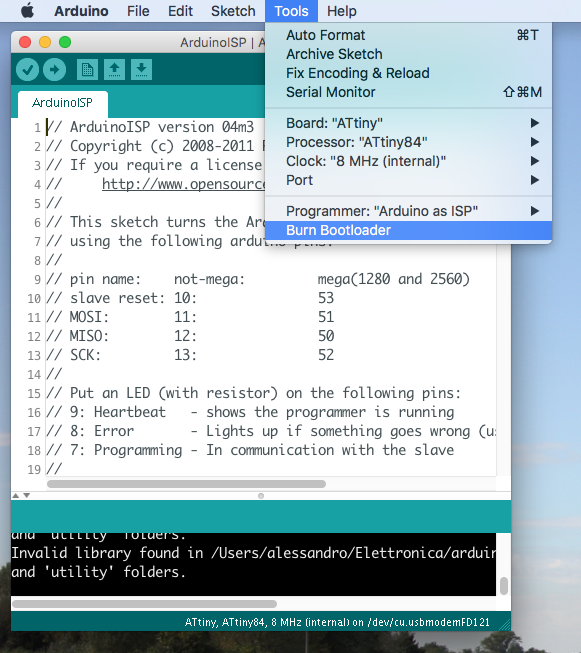 Upload the ArduinoISP sketch to the Arduino UNO board. 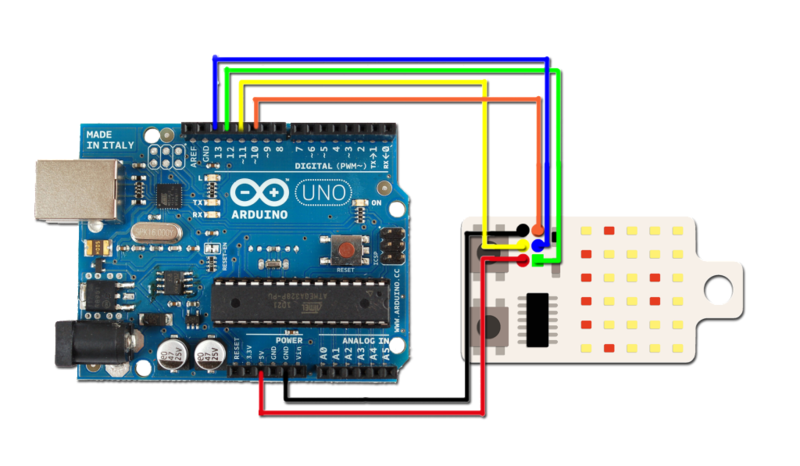 (leave the serial port set to your Arduino board). 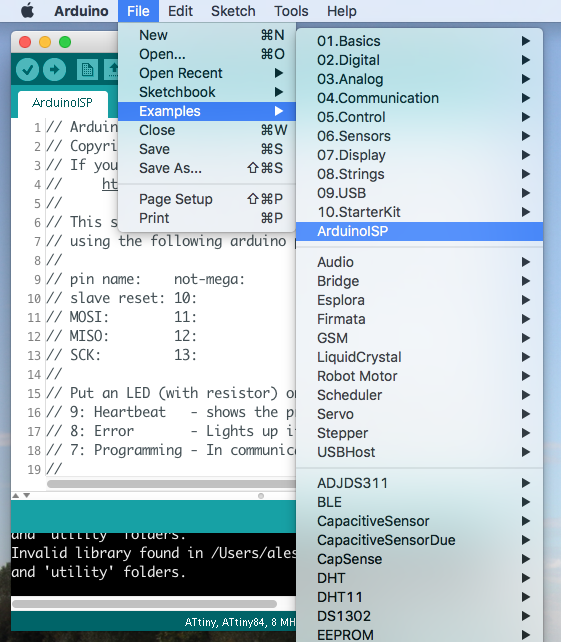 Select “Arduino as ISP” from the Tools > Programmer menu. 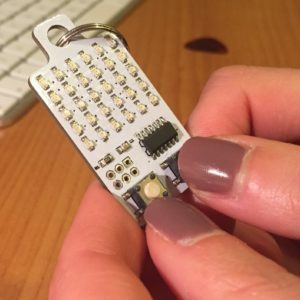 Be sure that you have removed the battery from KeyChainino. Burn Bootloader from the Tools menu. 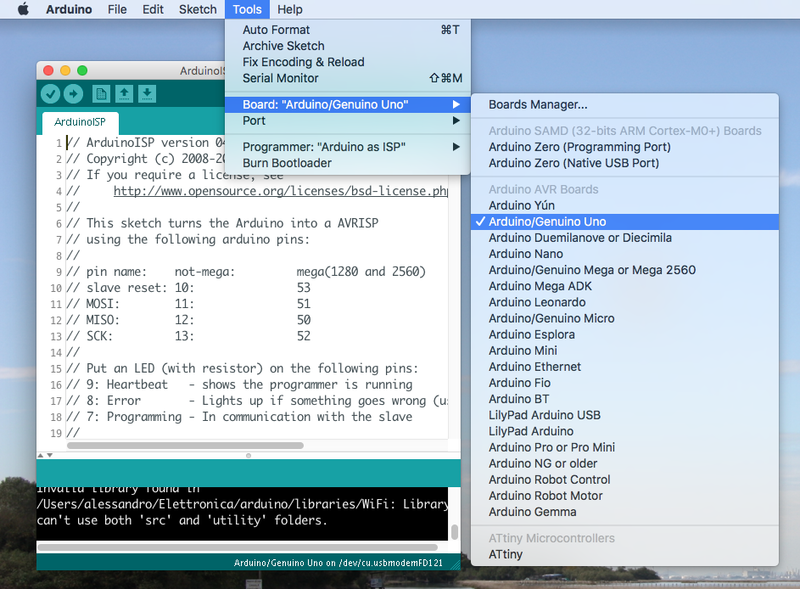 You should see “Done burning bootloader.” in the Arduino software and no error messages. Now you can upload the sketch. 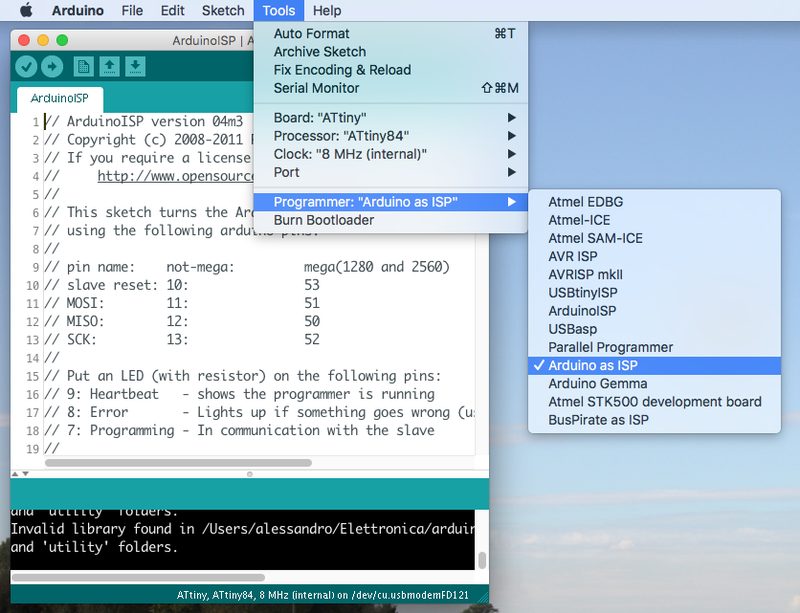 (leave the serial port set to that of your Arduino board). You should see “Done uploading.” in the Arduino software and no error messages. 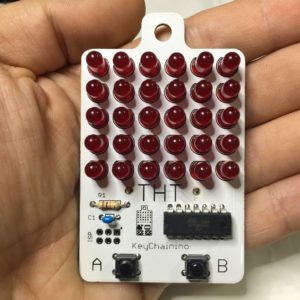 Insert the battery on KeyChainino and start to play! P.S. Repeat only this last step every time you want to upload a different sketch on KeyChainino!